Insulating a crawl space is often done to create a more energy efficient space as your crawl space can allow in the outside air as the heat tries to escape the home. Also, if your crawl space isn’t insulated, it can often trap moisture, leading to wood rot and/or mold growth. If you’re starting to notice your floors are squeaky, cold to the touch and/or are noticing your utility bills are increasing more than they were in the past, even with no difference in the way you live everyday life, the insulation your crawl space could help resolve these problems. Even though insulating your crawl space may be costly at first, the costs you save in energy can easily outweigh this investment in the future. The costs to insulate your crawl space will depend on a few factors, including which insulation you plan on using, the size of the crawl space, the complexity when accessing it, your geographical region and the contractor you hire. From the quotes we researched online, most homeowners paid anywhere from $1 to $2.50 per square foot when hiring a professional for a mid-tier insulation such as R25 batt insulation. This will tend to be the average for a crawl space with no vapor barrier, no water present and no existing insulation. If you have an existing vapor barrier, then your contractor may want to avoid the job as it can get quite costly and will not be worth the investment, while removing older insulation can add another $1 to $2 to the square footage range mentioned prior. As you can see, multiple factors can affect the price, and while the range is quite small, your particular circumstances could be more or even less in some cases. If you want an exact quote for your job, we highly recommend you use the free quote comparison tool called HomeAdvisor.com. With this tool, you explain your job and contractors contact you with quotes for free based on the description of your job. It’s free, there’s no obligation and all of the contractors who contact you are licensed, screened and insured. 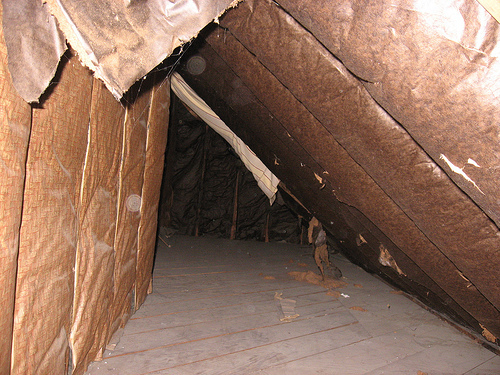 The location – Since all homes are not created equally, the crawl space can either be located beneath the home, above the home inside the attic or between the ground. Overall, depending on where this crawl space is, it can affect the costs as a tighter crawl space beneath the home with lower-than-average ceilings can be much harder to access and bring in insulation when compared to an upstairs crawl space. Technically, the faster the contractor can enter the crawl space and install, the cheaper it is, seeing all contractors will charge by the hour. Size of the crawl space – The larger the crawl space, the more insulation and time your contractor needs to invest. Type of insulation – All insulation isn’t the same, meaning there will be different prices. Fiberglass batt insulation, for example, is a lot more than spray in foam insulation; however, never choose your insulation based on the price as the higher-quality insulation can greatly decrease your utility bills in comparison to the lower grade materials. Insulation as you can see in the table above, can come in many forms, and the goal of each, regardless of the type you do choose, is designed to help fill in the gaps and cut down any heat transfer. All insulation is measured with an “R-value,” with the R meaning the insulation’s heat flow resistance in proportion to the insulation thickness. The higher this number is, the great its energy efficiency will be. For colder climates, an R-49 is recommended, while hotter climates should use an R-30. Vented? If your crawl space is vented, then these vents will need to be sealed off while the area is insulated to maximize the energy efficiency.